When I was in high school I got a job at a horrible mall food court pizza place. The kind where pre-made pizza and baked pasta sit under a heat lamp all day looking progressively sadder. As a kid, it was edible for a while, but eventually everything tasted like grease and it was time for a change of flavor. In a food court, however, your options are pretty limited. 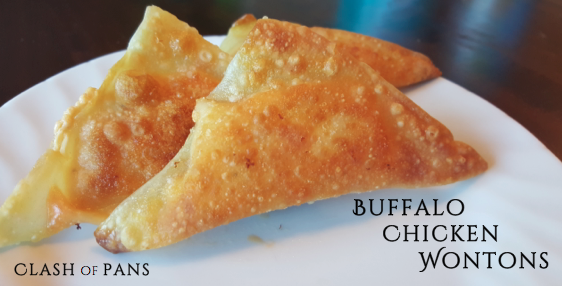 The only thing that I could eat just about every day while working was the wontons at the (mostly crappy and completely Americanized) Chinese food place next door. Crunchy on the outside, creamy and savory on the inside. I couldn’t tell you exactly what was in those wontons, but I do know that my love for savory wontons hasn’t diminished since high school. Though I definitely don’t eat them as often as in my food court employment days. 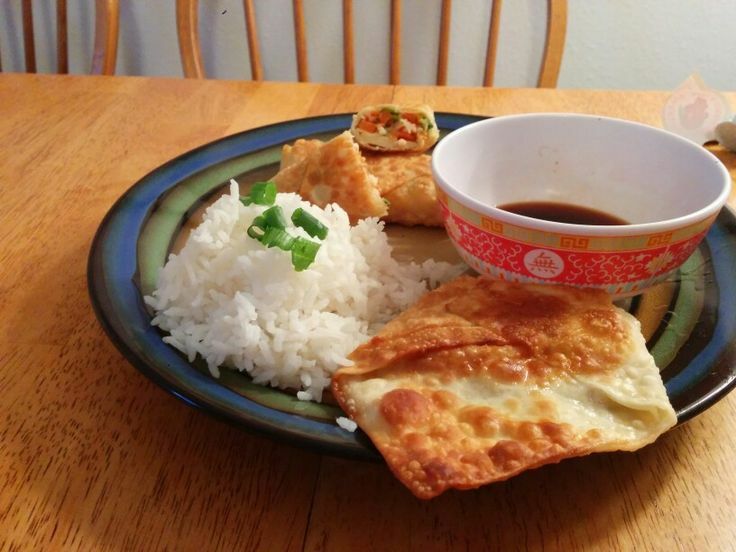 This wonton recipe was inspired by game day cuisine. In more ways than one. It started last weekend when my father called a half hour before we had to leave for an American football game and said he wanted to tailgate before the game, instead of going to a bar, and that I should pack food. What is a girl to do in that amount of time? 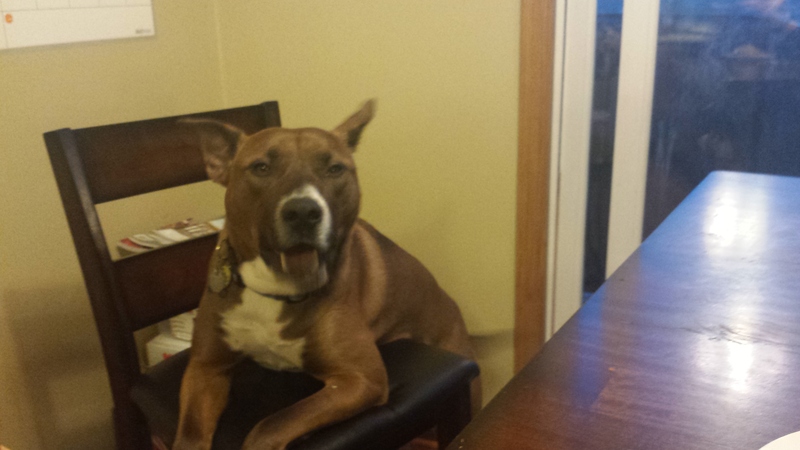 My response was a creamy, cold, buffalo chicken dip. 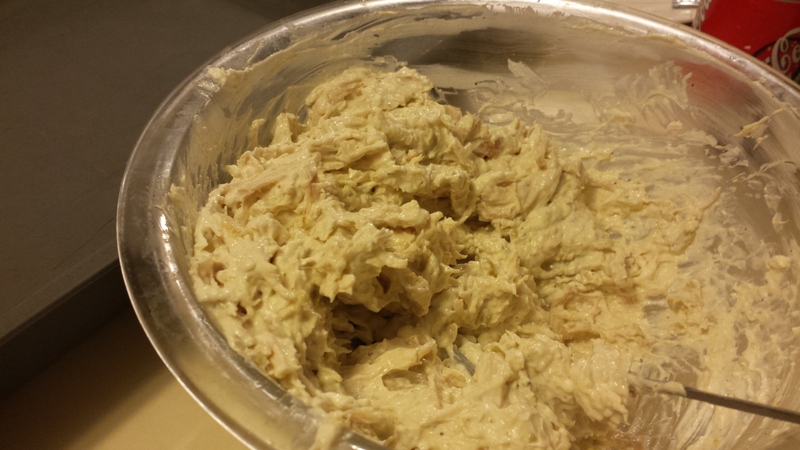 I had made hot buffalo chicken dip before, but without the time, I needed something quicker. The result was more than I could have hoped for. The dip was creamy, with enough buffalo flavor as well as the ranch dressing to balance the heat. The trick to this dip was how quickly I could throw it together, while also packing soda, beer, chips, and salsa to make a good tailgate cooler. I ran to the store down the street and grabbed quick ingredients, which is very different from how I usually cook. I used a pre-cooked, grocery store rotisserie chicken, as well as store bought ranch. Maybe next time I will do it all the long way. But if you are looking to throw something quick and delicious together for a get together, I definitely recommend serving this dip with some tortilla chips. But the dip is not what I am writing about. I am writing about wontons. So what do you do after game day when you have (not a lot, but more than you should eat in one sitting) leftover delicious buffalo chicken dip? Make wontons. Obviously. So you want my expert recommendation? Make the buffalo dip. Have people over. Eat half of it. Turn the other half into wontons. In fact, I stopped in the middle of writing this post and made another batch. You should probably do the same. Start by preparing the buffalo dip. Combine all of those ingredients in a large bowl thoroughly with a fork. You could also use a mixer if you wanted, but I did it by hand. Feel free to add or subtract from the amounts of buffalo sauce and ranch dressing depending on how strong you want those flavors to be. After the dip is made, set some of it aside to serve with tortillas chips. This is the perfect tailgate party appetizer. To make the wontons, crack the egg into a small dish and beat thoroughly. Pour the olive oil into a small skillet. (Use more oil if you are using a larger skillet. You want a solid layer of oil on the bottom of the pan, just not too thick. 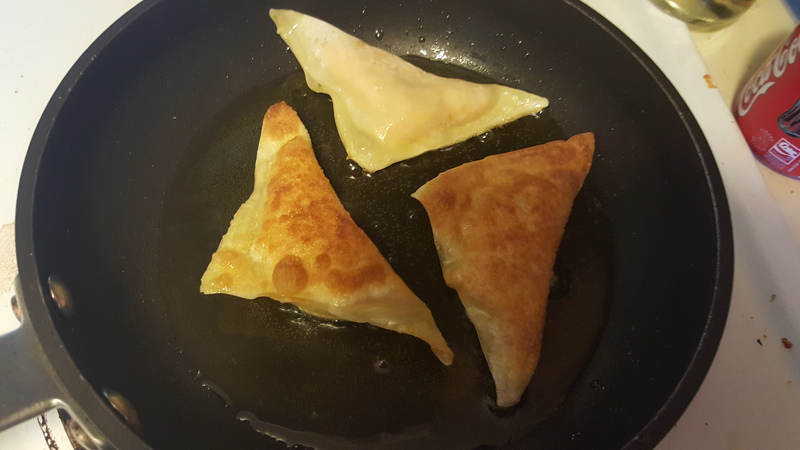 I only made about 5 wontons at a time for the fiance and I, so a small skillet was fine.) Heat on medium while you make the wontons. For each wonton, set the wrapper on a flat surface. 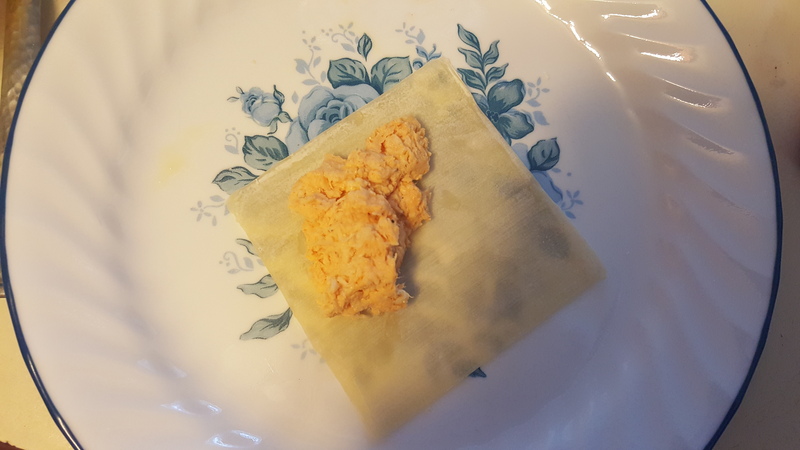 Set about a tablespoon of buffalo chicken dip in the middle of the wrapper. Use a small brush, or a clean finger, to spread a thin layer of the egg wash on the edges of the wonton. Fold over and seal the edges completely. When the oil is hot, set the wontons in the pan. Let cook for about a minute or so until the outside is brown, and then flip. Serve as is, or with blue cheese dressing to dip in if you want another creamy element. I just ate them as quickly as possible. I absolutely adore this meal. . Truly, I don’t know how else to say this. It is fantastic and so very simple. Taquito literally means “little taco”, and that is what these are. Taquitos are traditionally deep fried. My version is baked, which makes it much healthier. Trust me, it loses none of its deliciousness. Brushing the tortilla in a little olive oil ensures that it gets just as crispy. I make up for the healthier cooking method by putting cream cheese in the filling. The contrast between the crispy tortilla and the creamy filling is absolutely divine. I like to make my filling a little bit spicy, then top it with delicious creamy sauce. They may not be the most traditional taquitos of all time, but they definitely don’t leave you wanting for anything. 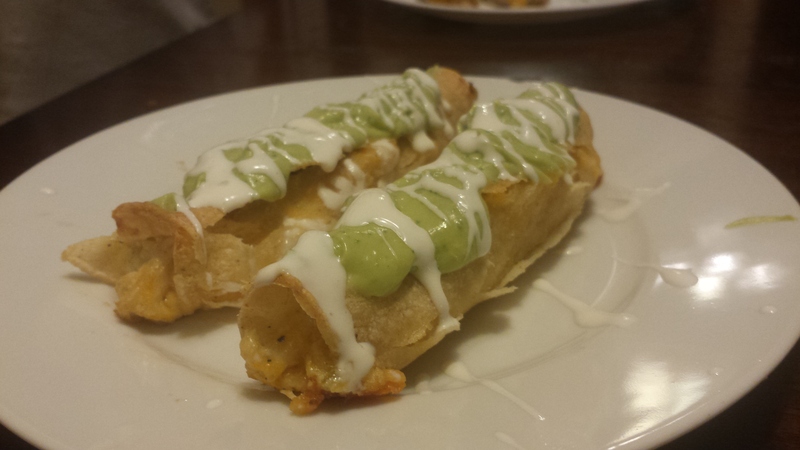 Traditionally, taquitos are served with guacamole and that is often how I eat them. This time, I wanted to go a little bit fancier so I served it with my Avocado Cream Sauce (found in this Fish Tacos recipe). 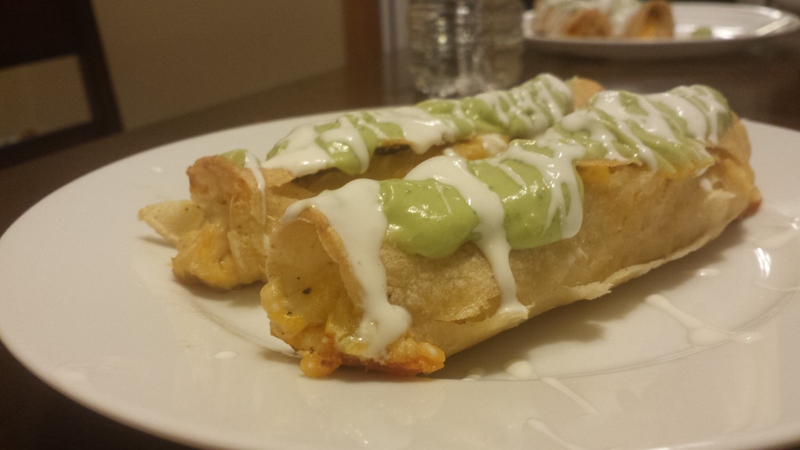 I also drizzled it with some Mexican crema, or Mexican table cream, which is like a smooth, sweet, runny sour cream. However you serve them, this is a nice weeknight meal, especially if you happen to have some leftover chicken lying around. Simply shred it, mix it together with the other ingredients, and prep your taquitos. Then whether you use them for an appetizer or a main course, you’re in for a lovely treat! 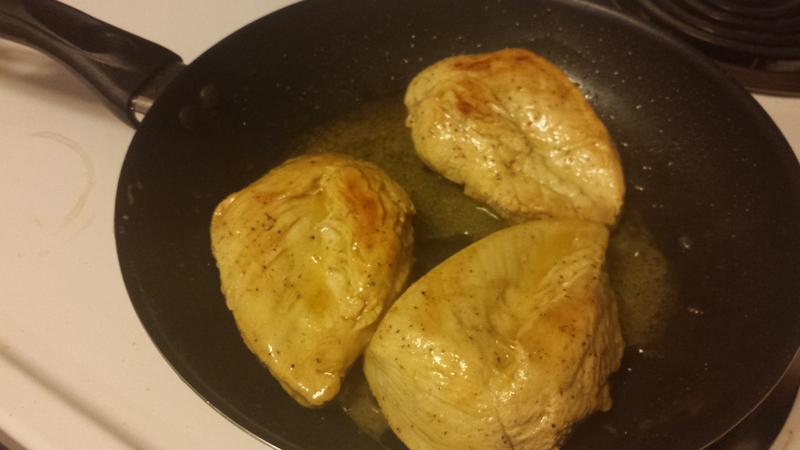 Start by cooking the chicken breasts. I usually rub them in lemon juice, dijon mustard, salt, and pepper and cook them in a skillet over medium heat until both sides are browned. 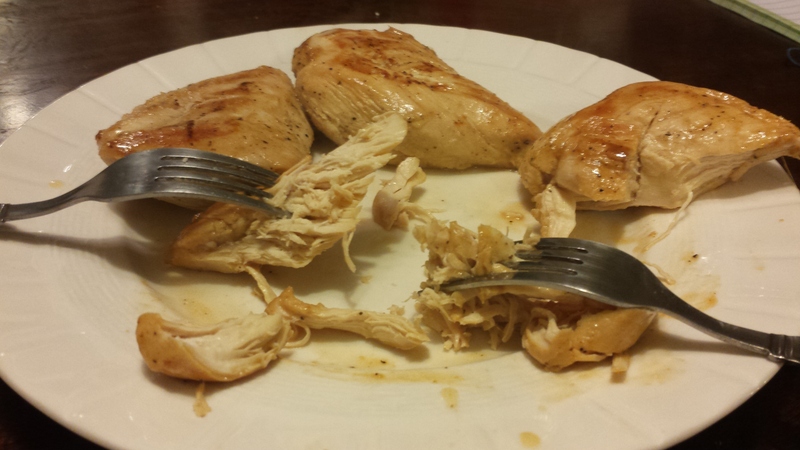 When the chicken is cooked, use two forks to shred it. There are three pieces of chicken in the picture, but I only used two of them for this recipe. 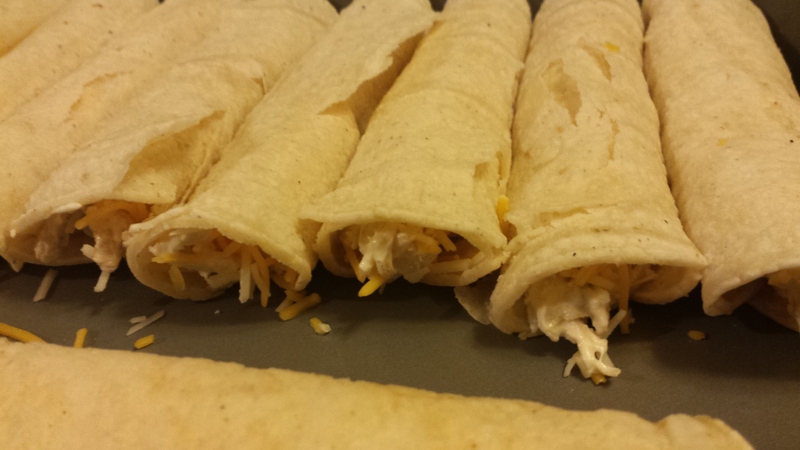 Mix the shredded chicken with the cream cheese, chilies, and all the spices together until well combined. Use more or less spices as desired. 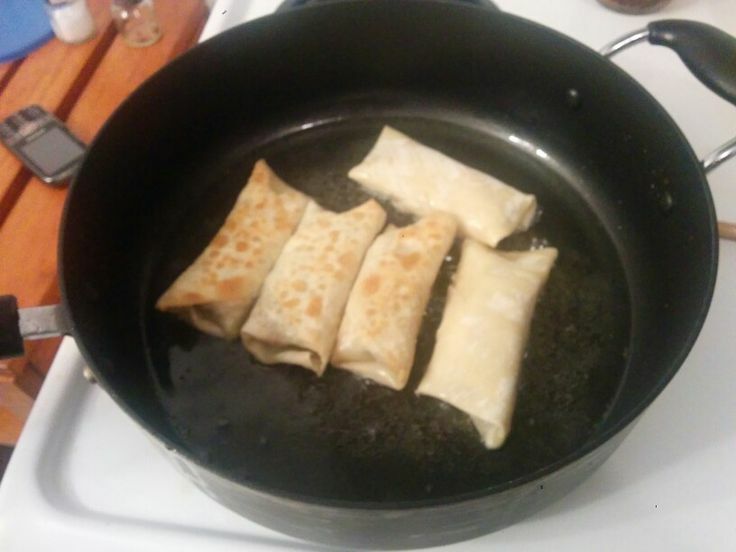 To make the taquitos, warm the tortillas in either the microwave or on a hot skillet until pliable. On each tortilla, lay out about 1 tablespoon of chicken and cream cheese mixture in a thin line in the middle of each tortilla. Sprinkle a little cheese over the chicken mixture. 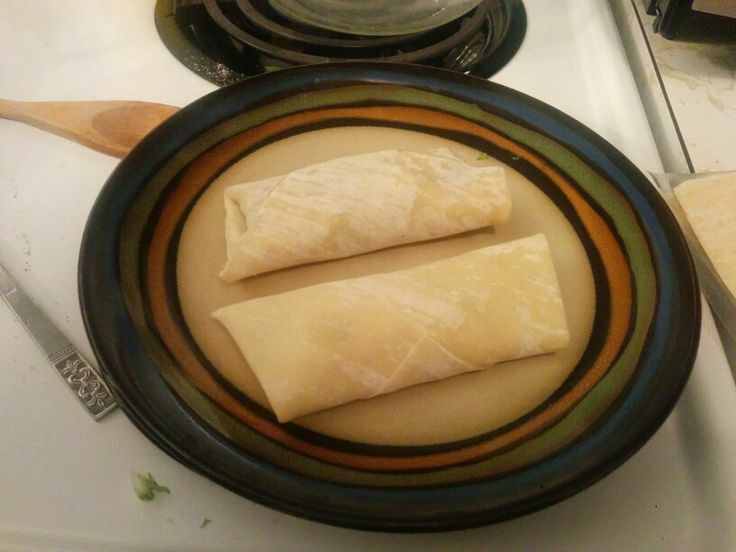 Roll tightly and place in a greased 9×13 pan. Lay close together in pan. Pour olive oil in a shallow bowl, and use a brush to spread over the taquitos. Place in oven and cook at 400 degrees fahrenheit for 15-20 minutes, or until the tortillas are crispy. Top with avocado cream sauce and Mexican crema, or use guacamole, sour cream, or whatever other type of sauce you desire. I have a little confession to make. I absolutely love chopping vegetables. It’s almost a fetish. There is nothing I love more than to come home from work, pour a fat glass of wine, sit at my kitchen table and spend a solid hour chopping food up. My favorite thing about cooking may actually be that I get to spend a bunch of time breaking things, only to end up with something amazing. Who doesn’t love that? Like Obi. Who doesn’t love Obi? Seriously, look at that face! My love of vegetable chopping is one reason I love this salad. Another is the dressing. Seriously, I could it eat with a spoon. Altogether, this salad has the perfect balance of sweet, spicy, bitter, and just plain fresh. So very fresh. Really, this is a summer dish. 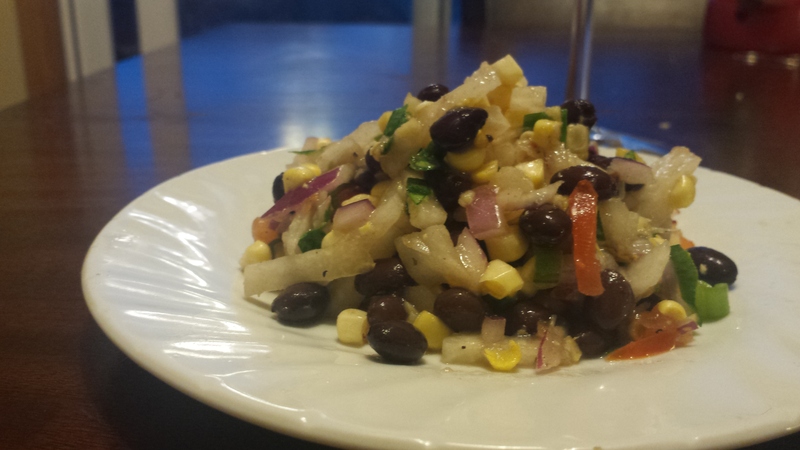 It is best with fresh sweet corn, garden picked veggies, and eaten on a patio with a cold Corona. In Minnesota these days, we seem to have finally broken the winter barrier. Spring is in the air! 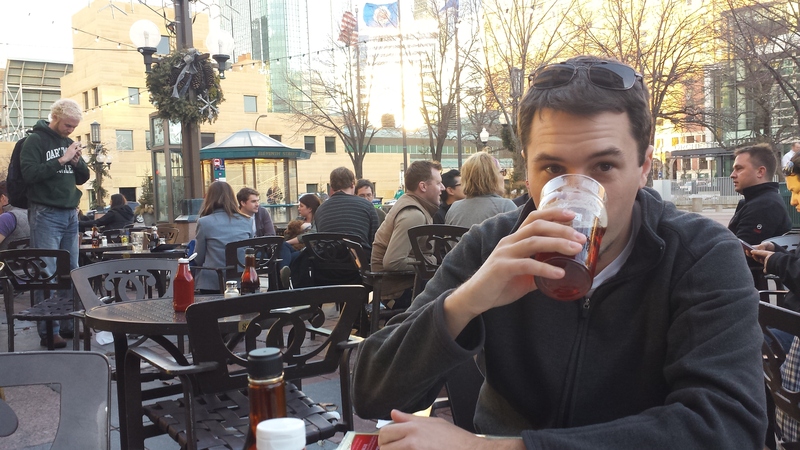 Matt and I actually got to have a beer on a patio the other day. If I was in charge of heaven, this is what it would look like. So now I am in the mood for summer, and this dish is a symptom of that craving! I absolutely recommend using fresh sweet corn for this meal, but if it does not happen to be the middle of july, my grocery store did carry hothouse corn on the cob. Not the same at all, but close enough for this girl’s spring craving. Maybe the best part of this dish is that it can be used in so many different ways. My dad uses it like salsa on chips. You could also put it on tacos or meat like a dressing or sprinkle it over a salad. So many uses. I tend to just eat it up with a spoon because it is so darn delicious! So here ya go. My all time favorite salad! Slice the raw corn off the cob directly into the bowl. Use the flat edge of your knife to press along the cob to get the milk out. Scrape over the bowl so the milk goes straight into the salad. Mince the pepper and garlic. Dice remaining vegetables and combine in the same bowl, along with the black beans. In a separate dish, squeeze out the juice of one lime. Add the honey and pepper flakes and whisk together. Add salt and black pepper as desired. Pout the sauce over the corn and jicama mixture, and stir well together. Serve immediately, or let marinate for ~4 hours before serving. Use within 3-4 days for freshest taste. My love for Mexican food is very well documented on this blog. Less well known is my love for games. I adore games! Game night at my house is at minimum a weekly occurrence. Our favorites are strategies games that take way too many hours to play. One of our favorites is called EuroRails. It often takes Matt and I multiple days to play with our hectic schedules. 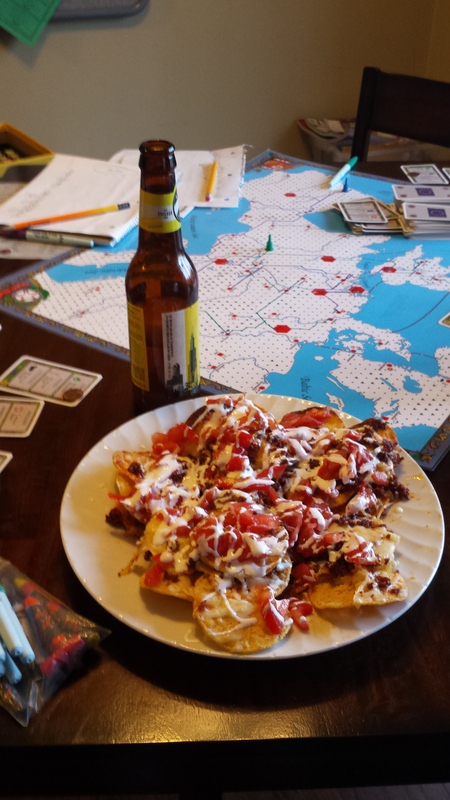 When you are playing long board games, you gotta have snack food. Something fast and simple to throw together, but still delicious. And a little indulgent. Because why not? 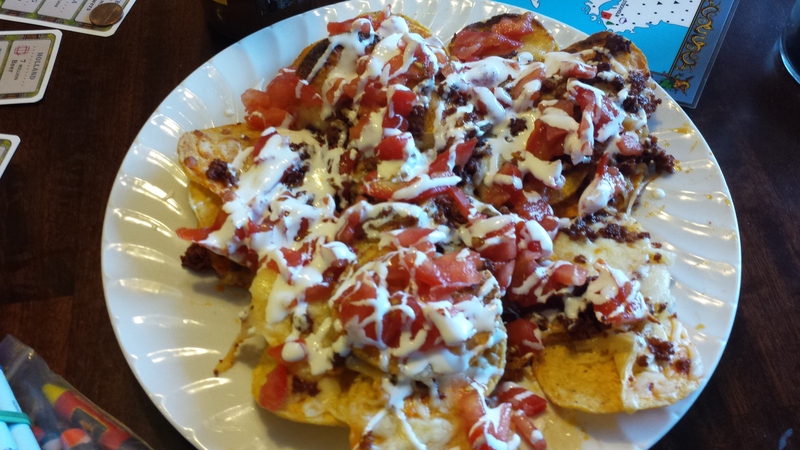 These nachos were not something that I planned, but they are definitely a recipe I will be making again. I have been craving Mexican food (what else is new) and recently bought every single mexican ingredient (almost) from our grocery store in anticipation of taco, taquitos, corn salad, and anything else I can think up. Among my purchases were chorizo, tortilla chips, Queso Chihuahua, and Crema Mexicano. 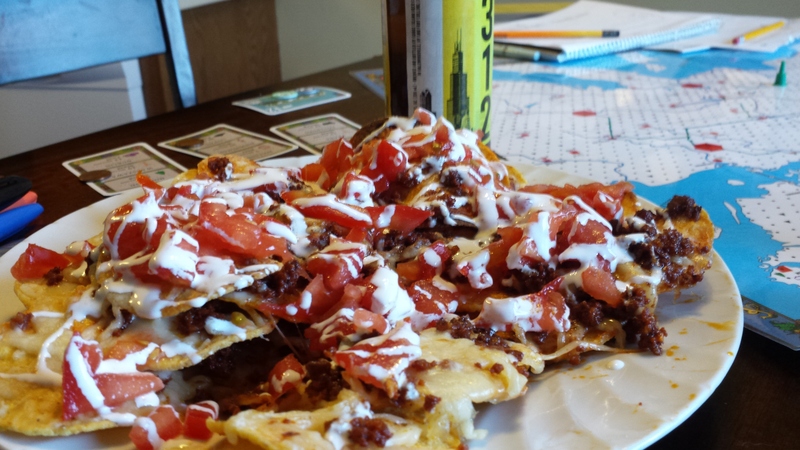 And that is what I used to make these nachos. Which I promise you will continue to frequent our gaming table. And they should probably frequent your table as well, whether you use it to game, watch movies, or just to hang out. Spread one handful of chips out on a baking sheet. Cover with half of the cheese and half the chorizo. On top of that, spread second handful of cheese. Put half of remaining cheese, then the rest of the chorizo on top of the chips. Finally, cover with the last portion of cheese. Broil in the oven on high for 3-5 minutes, or until the cheese is all melted. Top with chopped tomato, and drizzle with crema. Serve immediately. I scooped the chips off the baking sheet and put them on a large serving plate. It also means my cooking time this week is rather limited, as I won’t be getting home until well after dinner time. While meal planning, I knew I wanted something that would be relatively simple to cook after getting home late. I immediately thought of eggrolls! The great thing about eggrolls is that all of the amazing flavor gets wrapped up into one little bite surrounded by crunch. The other thing I love about them is that I can cook up a large batch, freeze them, and have food for the rest of the week! Perfect for conferences. 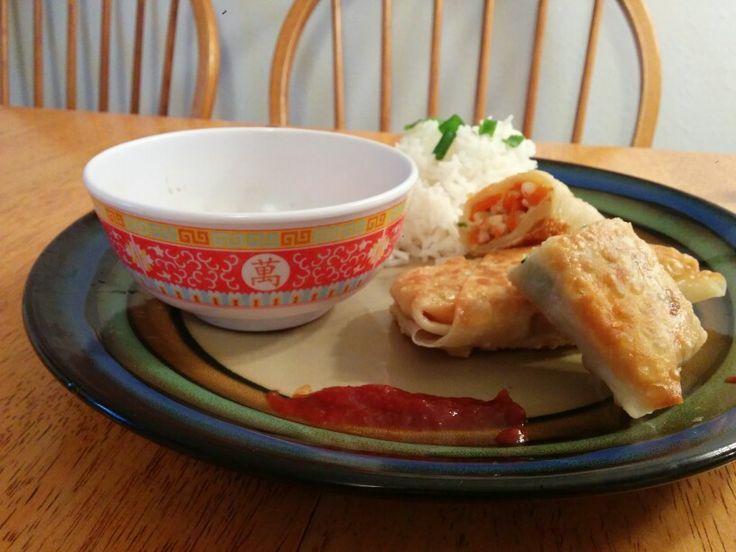 My recipe is a variation of Erica’s Shrimp Eggrolls recipe that was posted a while back. Mine has ground pork, and a fabulous sauce that goes perfectly with the sweet pork. We eat these with rice or salad and they work perfectly as a light dinner for a busy weekday. They would also be fab as an appetizer. Having a batch of these in the freezer is the perfect way to come home from conferences, pour of glass of wine, and relax. Heat 2 T oil in a large skillet or wok. Mince the garlic and ginger and add to the pan, cooking until aromatic (around 30 seconds). Finely dice the rest of the vegetables and add to the wok. Cook for about 5 minutes, or until the vegetables are starting to get soft. Chop the cabbage, and combine the broth with soy sauce and sugar. Put the cabbage in the pan and pour the broth mixture over it. Let simmer until the cabbage has cooked down to about 1/4 the size. Remove the vegetable mixture from heat, stir in sesame oil, and let cool for about 20 minutes. While cooling, cook the ground pork in a separate skillet. Cook through. Strain off liquid of both the meat and the veg mix, and combine well. 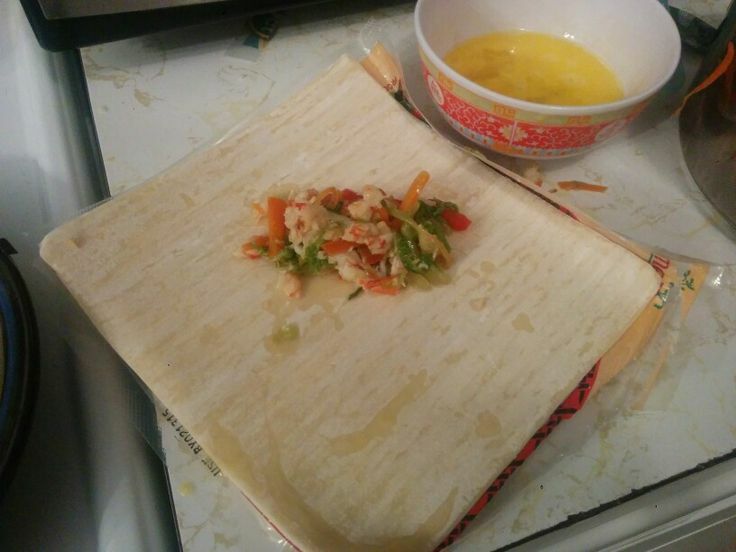 To make the egg rolls, lay the wrapper out with one corner pointed toward you. Put ~1.5-2 T of filling in the middle of the wrapper. Fold the wrapper over the filling, fold down the sides, and roll tightly. Seal the edge of the wrapper by brushing the top corner with water, then pressing closed. Fill all the wrappers immediately, so they do not dry out. Put any you don’t want to cook immediately directly into the freezer. To cook, heat 2 T of oil in a large skillet over medium heat. 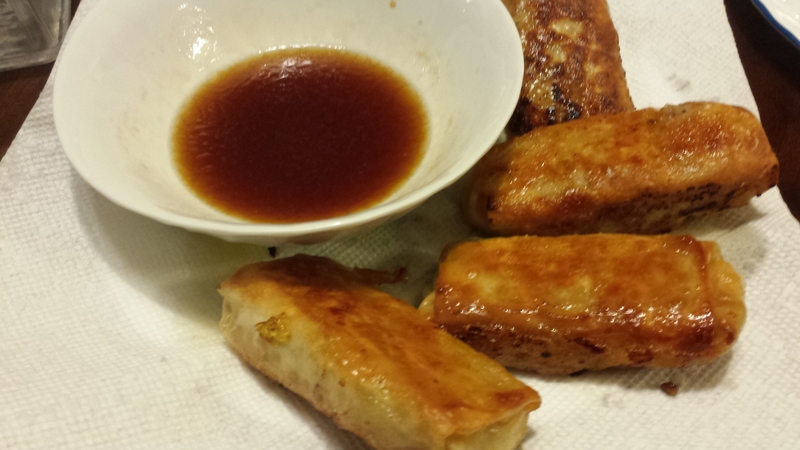 Lay eggrolls in the pan so they are not touching each other. Cook until browned, then turn gently. Repeat until all sides are brown and crispy. Serve immediately with dipping sauce. Whisk together 1/3 cup rice vinegar, 2 T soy sauce, 1 tsp sesame oil, 1 T honey, and 1/2 tsp chili garlic sauce. Refrigerate until ready to use. You ever have one of those days where you haven’t gone to the grocery store in a week, and now you need to come up with something for dinner? It’s like an episode of a cooking competition. “Take these four wild ingredients, and make something delicious!” Today’s random ingredients: chorizo, mini sweet peppers, rice, and eggs. 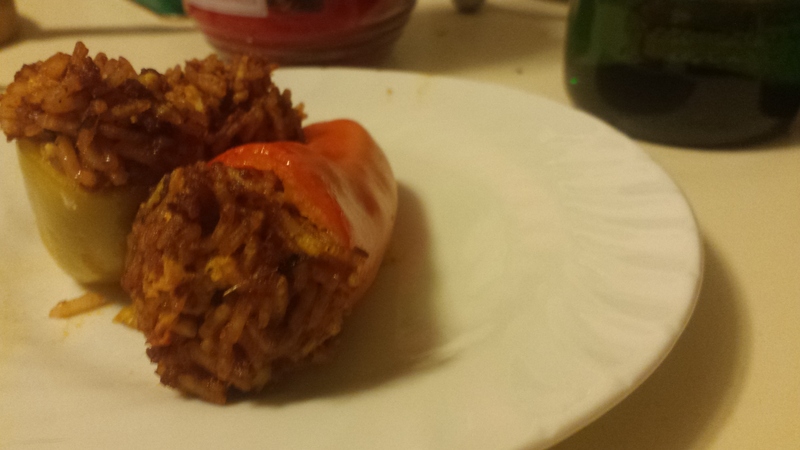 Erica and I have stuffed mini peppers with bacon fried rice before, so I immediately thought of chorizo fried rice! Who doesn’t love a latin/asian infusion? The great thing about stuffing little peppers, instead of a whole bell pepper, is that they are a nice appetizer bite. You also get a little better portion of each flavor, instead of one bite having too much pepper and the next with way too much stuffing. The sweetness of these little babies also perfectly balances the spiciness of the chorizo and rice. Quick break for puppy cuteness. 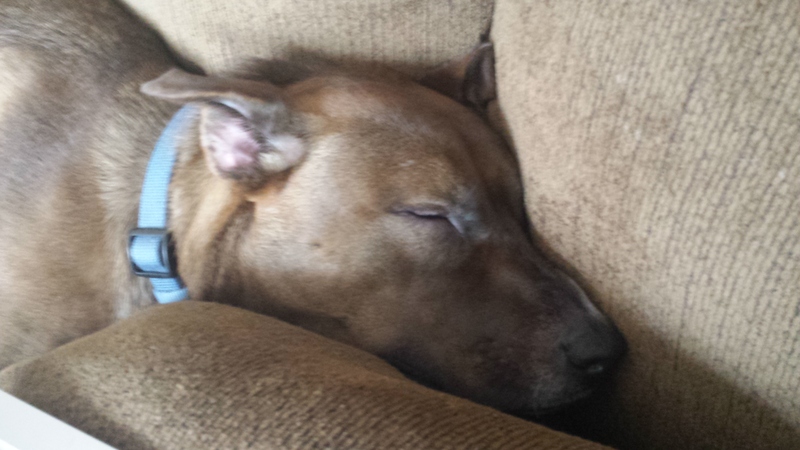 He is snoring with his head next to me as I write this. These are a great appetizer, but they also work as a light meal if paired with a fresh salad. Whatever you make them for, I’m pretty sure these would do well in any cooking competition. Cook the rice according to package directions. Add salt and butter to water with rice if desired. While the rice cooks, put the chorizo in a large skillet or wok. After 3-4 minutes, when the fat starts to render out, add garlic and tomato. Cook until the chorizo is done. When the rice is cooked, add it to the wok along with salt, pepper, cumin, smoked paprika, hoisin, and soy sauce. Mix together and cook for 2-3 minutes. Cut the stem off each mini pepper, and clean out the insides. Scoop rice and chorizo mix inside until it heaps over each pepper. 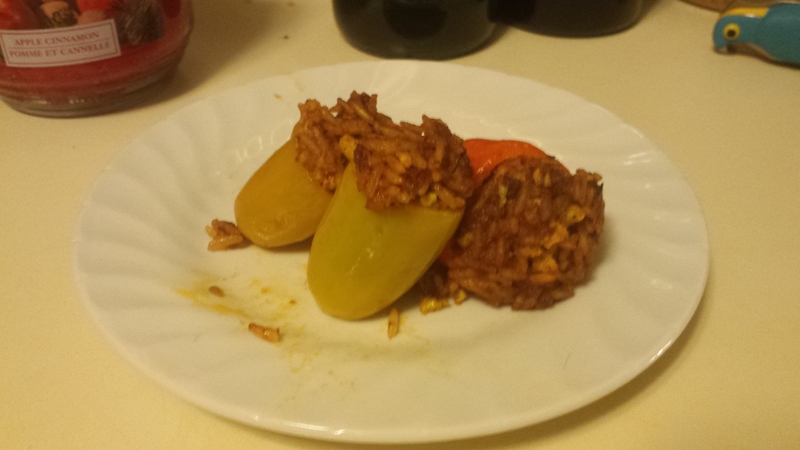 I cooked these in a muffin pan, where they could lean against the side, with 2-3 peppers in each hole depending on size. This kept them upright and the filling stayed inside. Cook at 350 degrees for about 15-20 minutes. You want the peppers to be soft and cooked through, and the very top of the rice to be crispy while the rest is moist and delicious. There are many delicious eggrolls out there but the ones with shrimp are my favorite. the light buttery flavor of the seafood is delicious with boiled cabbage and soft veggies. These might look complicated but they are not nearly as hard as you might think. 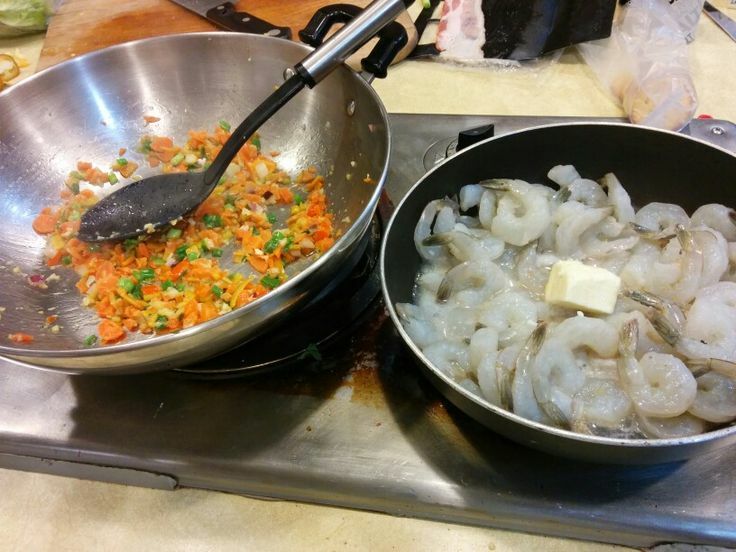 Simply saute the shrimp in butter and lemon and saute the veggies till soft. Make sure to only cook the shrimp till done. then once everything is all mixed up you can spread it on the eggrolls and wrap them. Fry in about a half inch of oil until golden brown. And serve with soy sauce! In a large skillet cook the ginger and garlic in oil just till hot. Be careful not to burn. Add the green onion, carrots, red pepper and fry on high about 5 minutes. Then lower the heat and allow to simmer. While the veggies cook, boil the cabbage in about 1 cup of water until soft. strain the cabbage and add to the veggies with the broth, white pepper, and soy sauce. continue to simmer till all the veggies are soft. Remove from heat and allow to cool. While it is cooling cook the shrimp in the butter and lemon juice just till pink on all sides. remove from the heat and chop up finely. mix into the cooled veggies and place everything in a bowl with a paper towel to allow much of the grease to run out of it. Take a deep skillet and add enough oil to have about a half inch in the bottom. Heat to medium heat. Take the wrappers and add a heaping teaspoon full to the center of each wrapper. Fold three of the corners over the filling. Use an egg wash to cover the remaining fold and roll the final side up. Place in the skillet and fry till golden brown. Serve hot.